“Social Media isn’t new – it’s old”, says Heather Mansfield in her webinar “12 Common Mistakes Nonprofits Make in Social Media”. Lots of useful stuff, explained with passion and well illustrated on-the-spot. So no excuse: also nonprofits have to adapt the way they communicate with supporters, donors, and volunteers. 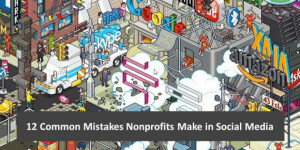 To learn from the mistakes of others, Heather selected the 12 most common mistakes nonprofits make in social media. The online communication strategy of most nonprofits is split up between – on one side – a Web 1.0 strategy with paid professionals taking care of the website, newsletter, and ‘Donate Now’ fundraising, and – at the other side – a (poor) Web 2.0 strategy about blogs, social network sites and social fundraising, mostly taken care of by unpaid & inexperienced young volunteers. In the ‘old’ world, only search engines and newsletters drove traffic to your website, but today web traffic comes from at least 6 more sources: Facebook, Twitter, Google+, Youtube, LinkedIn, Flickr etc. It also means that people land on your website on any page – not only on the homepage like before. ‘Integrated Marketing’ means building one single online communication strategy, taking into account that all sources are connected and each channel has a different purpose that asks for a different language & approach. The online user today is a very tech savvy person, who will judge the effectiveness of your organization on his or her first impression of the visual brand of your online presence. Good examples are One World One Ocean and Charity Water. The importance of having a good, professionally designed banner and avatar is crucial – spending money on graphic design a must. If you have no budget, try to engage with a tech savvy graphic design college student that needs to add some work to his or her portfolio. A study shows that only about a third of tweets are worth reading. Too many nonprofits can’t get away from their impulse to do marketing and focus too heavily on fundraising. Status updates and tweets like ‘Help Us Save the Trees! Donate Now! !’, ‘Did you know we are also on Facebook? !’ or ‘Press Release: [Nonprofit Name] Releases Annual Report #Breaking #News #MustRead’ are boring content nobody wants to share or retweet. Not Facebook or Twitter is miraculous, but the person behind the avatar. A talented person with specific skills who knows how to tell the story of your nonprofit’s mission, programs, and successes in an inspiring way. Today, all social media managers are on a learning curve: your staff will need time to study and get training. A study reveals that auto-posting to Facebook decreases likes & comments by 70%. People don’t listen to robots. Automation of status updates and tweets is the opposite of being social. Tools that automatically post to various channels must be switched off immediately. Also because the tone to use in for example Facebook or Twitter is completely different. Facebook, Twitter, Google+, YouTube, etc. have vast tool sets, but most nonprofits haven’t fully explored them and are only using the surface of these channels. On Facebook for example, instead of engaging with your public & stakeholders as your personal avatar, you should use the avatar of your organization. On Twitter, a good way to engage with friends is faving a tweet or adding them to one of your public lists. On Youtube you can use featured play lists, create & feature channels or use the video manager. 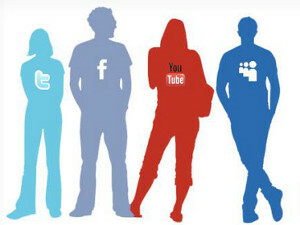 As said, very few people innately understand how to use social media to build an online brand. You can’t leave your entire brand in the hands of a 20 year old that knows how to use the tools but has no experience in communication. The best social media managers have years of experience with online communications and fundraising. This said: embrace the age difference and skill set within your organization: trust young people who are a product of their time and make sure volunteers, interns and staff are properly trained. Technology is always going to change. Nobody knows what will happen with Facebook or Twitter, if newer tools like Google+, Pinterest, Tumblr or Foursquare will take the lead and force everybody to move its followers to yet another tool. Being an early adopter is never a bad idea. Followers and fans grow the fastest in the early adoption phase. And if your nonprofit does not yet have the time to regularly use those new tools, at least create an account and reserve your username to protect your online brand. Blogging is often the missing piece in a nonprofit’s social media campaign. If you’re not blogging what are you going to put on your social media channels? And if there’s no way to comment on your website – how do you want to engage with people? Still too many nonprofits are afraid of receiving comments, but hey – that’s the world we live in today! A good example of nonprofit blogging is the Greenpeace Blog. Every blogpost, press release, tweet, status update, website article, etc. should include an image or a video. Do the test: if your content works fine on Pinterest, it will also work on Facebook & Twitter. People are overwhelmed with info. They won’t read. They want to see a picture that tells your story. Make sure that your communicators and fundraising staff have easy access to a video recorder, digital camera, and/or a smartphone. Many communicators are still very web 1.0 minded and too much focused on “broadcasting”. 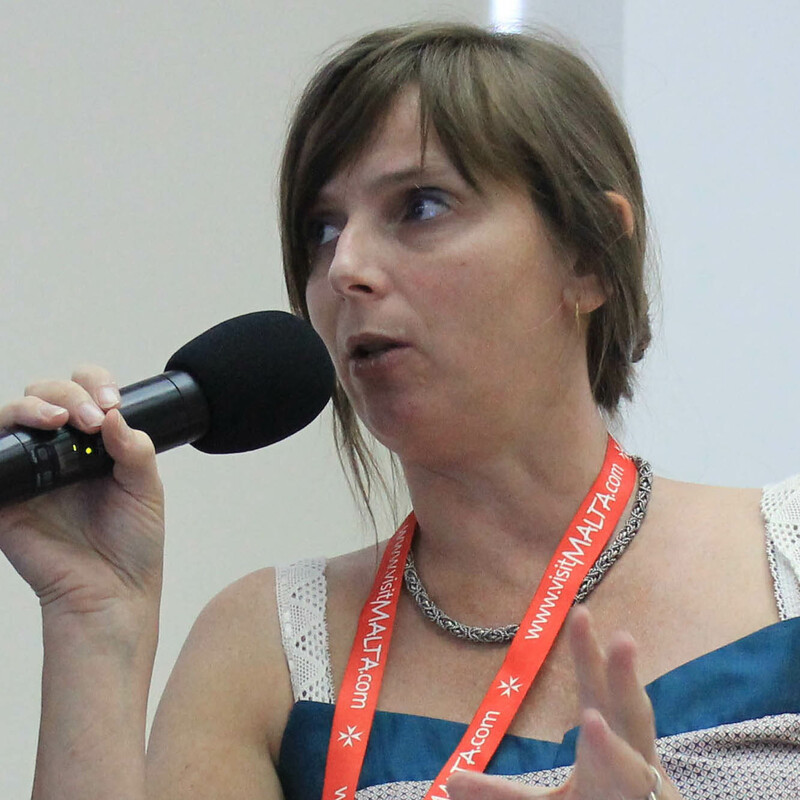 Social media managers today need to think of themselves as reporters for their cause. They have to be story tellers – telling stories of success, not of sadness and misery. If you can’t maintain all channels, it’s better to open few of them and do those well than to do bad on all. Web 3.0: “The Mobile Web” is here. More people access Facebook (and thus your website!) on their smartphone than on a computer. Smartphones now outsell PCs – and very soon the same will be true for tablets. If you haven’t viewed your nonprofit’s website on a smartphone or tablet, then you’re already behind. Take a look at m.humanesociety.org to see how a Mobile Website looks like. Start asking following questions: Does our CMS system supports mobile webdesign? Are we engaging with a web developer who can deliver “responsive website design” – a design that works on computers, smartphones, tablets and smart TV’s? Are we considering building smartphone apps and are we going to engage in mobile fundraising via texting? 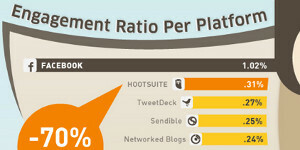 Create a spreadsheet that tracks your Social Media ROI. Measure your website traffic, blog traffic, Facebook fans etc. on a monthly basis and compare those metrics with your fundraising income. If these numbers grow larger, the faster it starts to snowball. Your nonprofit is going to have a lot of competition in the next few years because babyboomers are retiring and will be going into charity. The time to invest in online fundraising and communications is NOW.